I recently completed an illustration about a girl who’s dreams become reality. 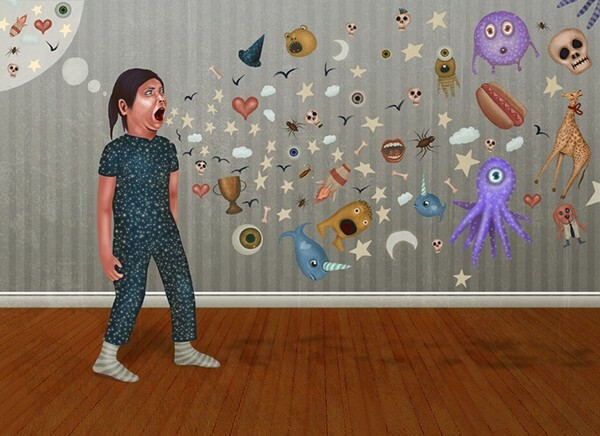 The illustration I created depicts her thoughts going from thought balloon to physical manifestation. My goal was to achieve the message whimsically, but in a way that touches upon the uncanny valley.